Palm View Animal Hospital is an affordable, full-service veterinary practice located in Miramar, FL. Our services include general and preventive medicine, digital radiography, surgery, dentistry, bathing, therapeutic diets and more. We are conveniently located in the Kohl’s Shopping Plaza at Miramar Square. Dr. Christie Waldie Torres and her team believe in a compassionate and comprehensive approach to healthcare. From diet and nutrition to proper medical care, we take our time to examine your pet and discuss any issues related to your pet’s health as well as answer any questions that you may have. We realize how important the human-animal bond is and strive to keep your pet happy and healthy for many years to come. 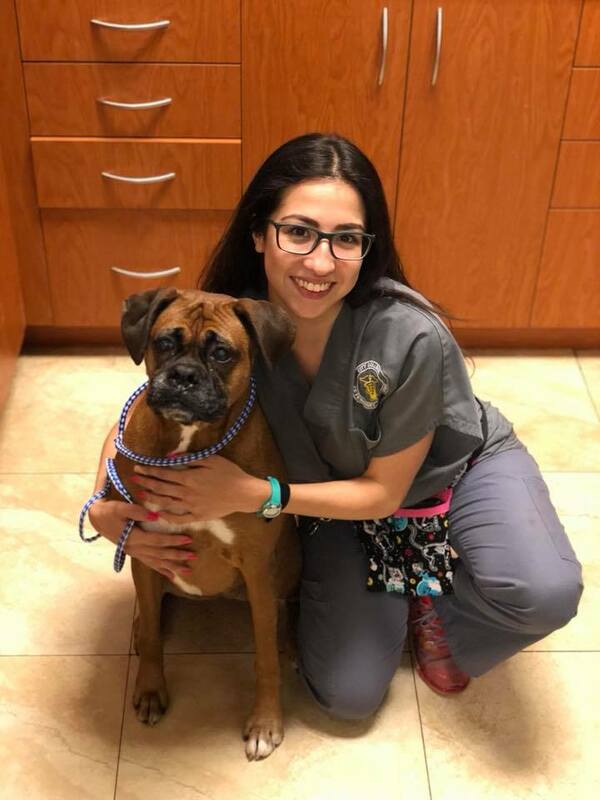 Dr. Waldie-Torres is a native South Floridian who graduated from the University of Florida with her BS in zoology in 1997 and her Doctor of Veterinary Medicine in 2002. She has worked in South Florida for almost 20 years and opened her own practice in 2011, fulfilling a lifelong dream. She lives with her husband, Jessie, their 2 young sons, their 3 cats (Purrcey, Moz, and Tyrion), a bearded dragon and a gecko. When not at work, Dr. Waldie-Torres enjoys spending time with her family and reading. Our Hospital Manager Kiki, who sometimes goes by her real name Cristine, is a born and raised Miami native. Kiki is a graduate of American Senior High's class of 2009 and attended Miami Dade college for a few years after that. Before joining the Palm View family in 2015, Kiki worked at a fast-paced emergency hospital for a couple of years where she quickly learned what it took to work in this field. Kiki has a Rat Terrier named Lexy, an American Bulldog named Roxy and two cats that she rescued named Zira and Hazel. On her personal time she loves to be with her family and is always at the park where her son plays baseball and her husband coaches. Her future goals are to one day purchase a piece of land and build a farm where she can rescue animals. Our head tech Jasmine is another born and raised Miami native. Jasmine joined the Palm View family in 2016 while studying to become a Certified Veterinary Technician. 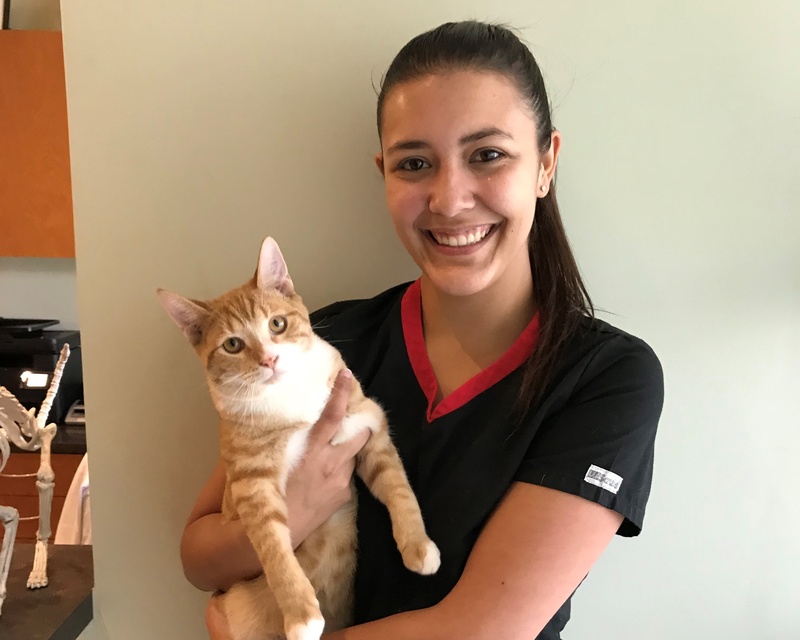 She completed her studies at City College and graduated with an Associate in Applied Science in Veterinary Medicine in 2017. She passed her national certification exam shortly after that. Her goals are to continue her education becoming specialized in dentistry and to travel the world. Jasmine has two male America Bulldogs, Tunechi and Taylor. While at home, she spends her free time with pets, family and friends. She bakes (lots of cupcakes!) and watches movies. Lina was born in Colombia and raised in Miami, FL. She's a graduate from City College with an Associate of Science in Veterinary Technology. This year, Lina will complete her Veterinary Technician national exam to become a Certified Veterinary Technician. Lina enjoys spending time with family & friends and giving lots of TLC to her bearded dragon Dexter! On her spare time she loves to try out new food recipes, reading, and watching movies & series of her favorite generes. 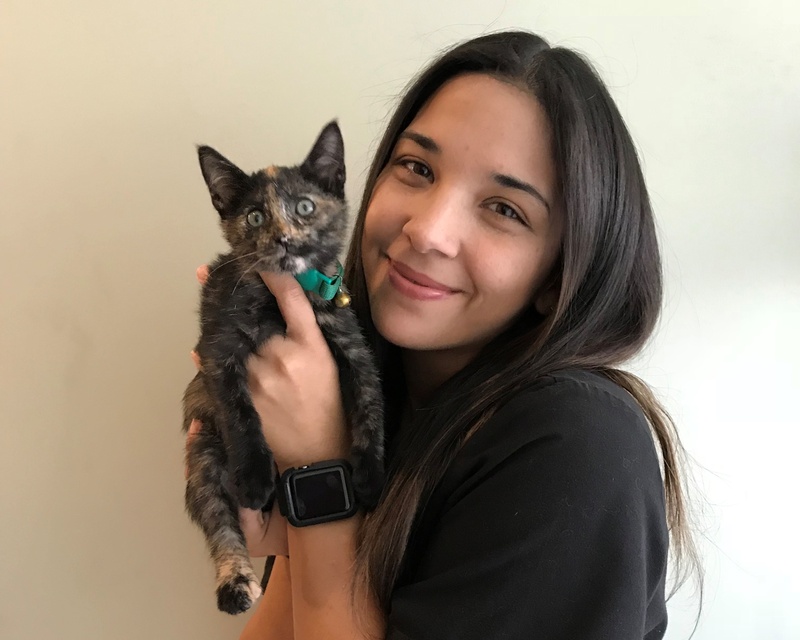 She looks forward to obtaining further knowledge and education to specialize in one of the many rewarding veterinary specialties in the future as well as adopting a beautiful Cat and Pitbull!